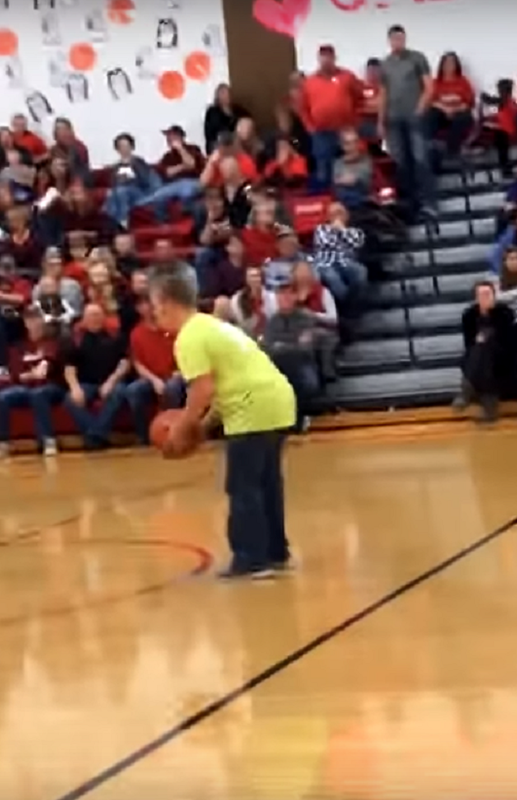 Crowd Explodes When Teen With Down Syndrome Nails Half-Court Shot — Backwards. James Meiergerd has become something of a hometown hero. 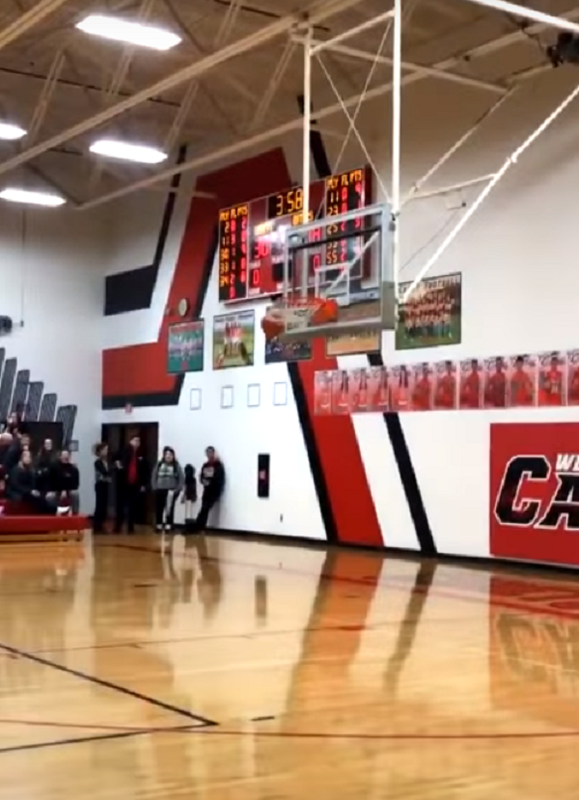 The eighteen-year-old is a senior at West Point-Beemer High in Nebraska, but thanks to video of the teen making an epic basketball shot, he’s making headlines all over the world. 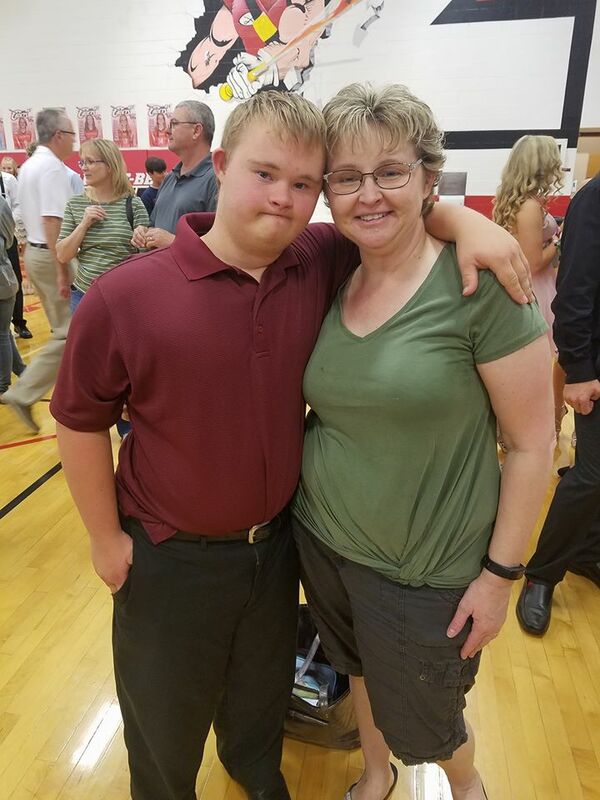 James, who has Down syndrome, couldn’t be happier about all of the attention. 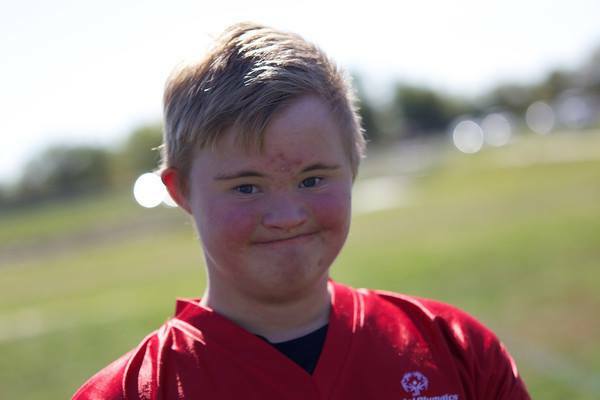 James plays for the junior varsity team, but he’s so devoted to his school that he suits up and goes to all of the varsity games as well. 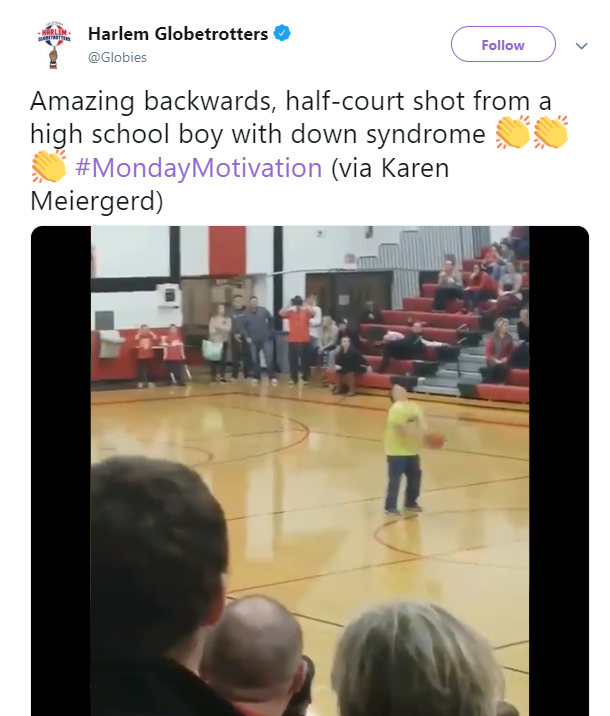 It was during a varsity game a few weeks ago that James realized he had a knack for making a certain kind of trick shot. While standing at center court, James stands with his back to the hoop and hurls the ball backwards — and makes it. 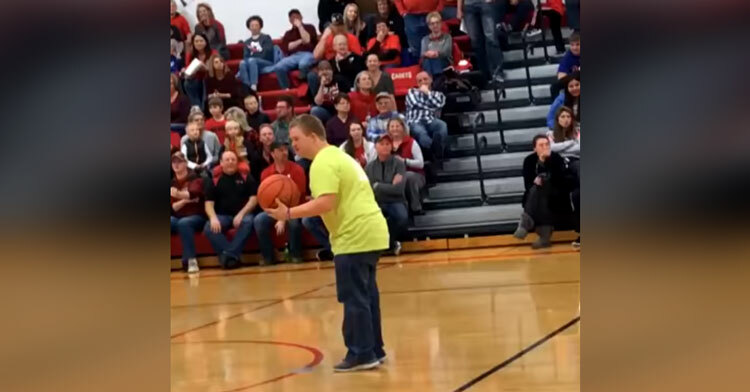 The excited young man began practicing his new move, and during halftime of the varsity game against Wisner-Pilger, the school’s rival, James was ready to give his trick shot a public try. After a few failed attempts, the video captures the moment when James’ shot sails through the hoop with an almost-audible swoosh. The crowd literally went wild! James and his friend Manny Barragan wasted no time in jumping for joy, soon running into the crowd and accepting hugs and high fives from his adoring classmates. 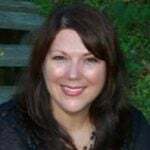 Karen Meiergerd, James’ mom, soon started sharing the video online. After she tweeted at the Harlem Globetrotters she was thrilled to receive a personal reply from the team, but that’s not the best part of the story. The Globetrotters soon contacted James and asked him to be their special guest when they play Omaha in April! This shot is truly a sight to behold, and we’re not the least bit surprised that television and other media are knocking on James’ door. What a cool trick. We can’t wait to see him do it alongside the famous Harlem Globetrotters! Watch James nail his trick shot in the video below, and be sure to share.